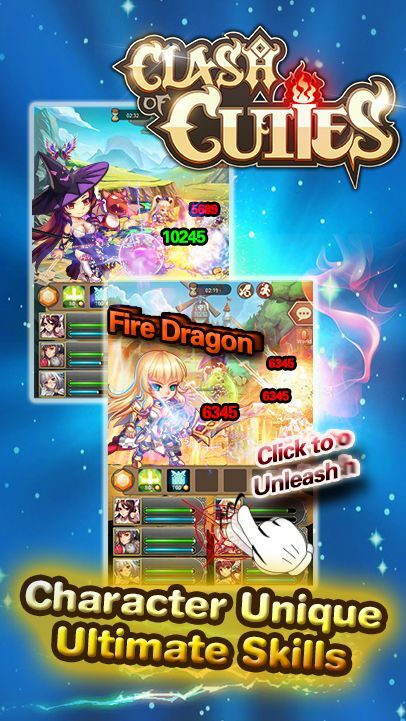 Clash of Cuties is a mobile RPG developed by Dragon Game Studio. 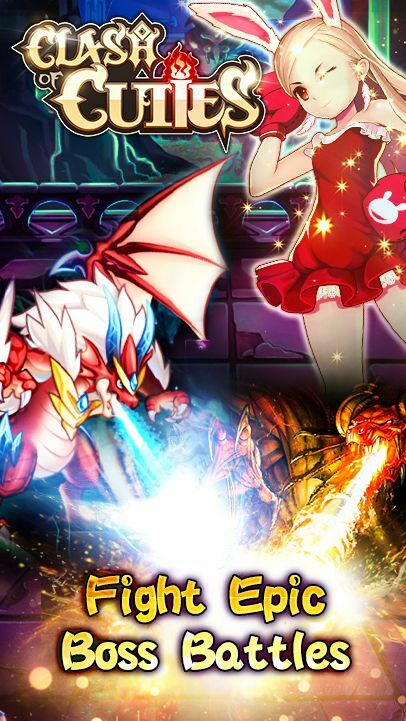 Play as a young hero master with more than 150 cute heroes to choose from. Take on the world and enjoy some addictive gameplay. 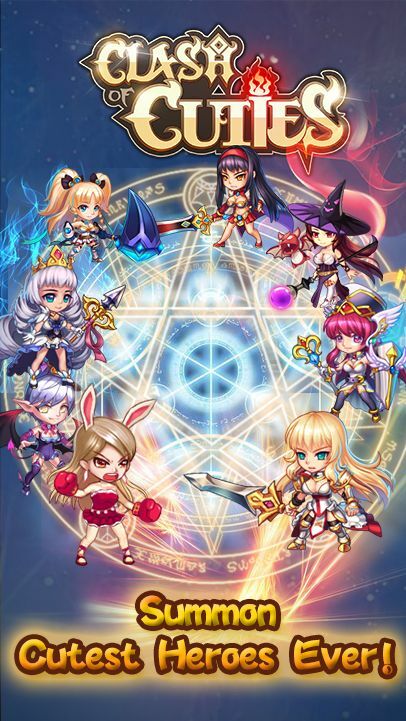 Over 150 heroes: Summon cuties to overturn the evil. 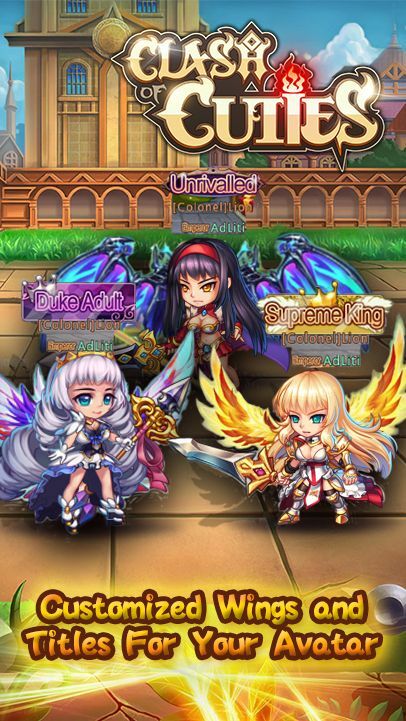 Cuties will be your brave warriors to fight for you. Interactive Game Modes: Take on 8 different interactive modes to achieve intimacy with cuties to awake the power inside of them. 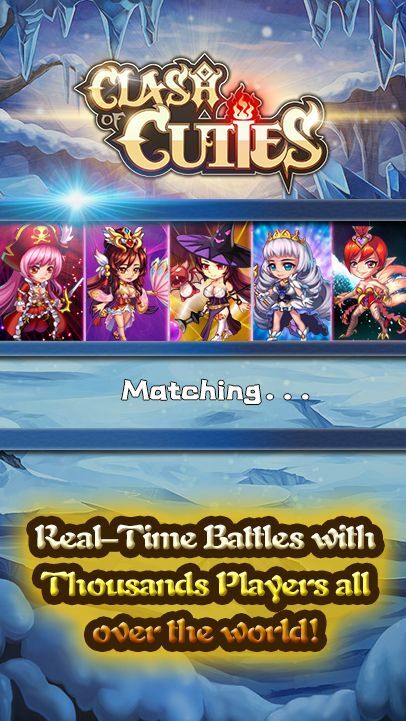 Epic Battle Strategy: Use Healing, Stun, Buff, Debuff, all kinds of skills to compete in the Arena. Addictive Gameplay: Accomplish different achievement with distinguished titles. Build your legion to explore the unknown sealed land. Team up to conquer the Sky Tower with highest glory.